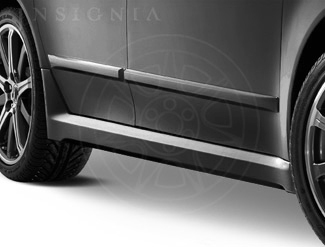 Style and functionality become one when it comes to car moldings. It’s remarkably easy to personalize the look of your Acura TL and make it yours while also protecting it from everyday scratches and dings. If your trim is peeling off or tearing, you’ve come to the right place to get the highest quality replacement molding. There are several types of moldings available depending on how you want to accessorize your TL. 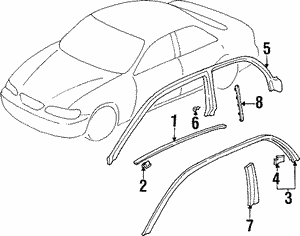 The most common moldings include strips along the vehicle’s body, but there are also options for your roof, windows, doors, windshield and more. Besides creating a sleek, stylized look, Acura TL trim will also protect your vehicle from a surprising amount of cosmetic damage. Made from tough vinyl material, moldings are created to be scratch-resistant. This will protect your vehicle’s sides against door dings, shopping carts, and careless pedestrians in the parking lot. Most moldings have easy peel-n-stick installation. OEM moldings make it even easier with templates to help your alignment. As long as you keep the moldings dry for a few hours after installation, they will remain securely attached. Sometimes there is some maintenance involved, but it’s nothing difficult. 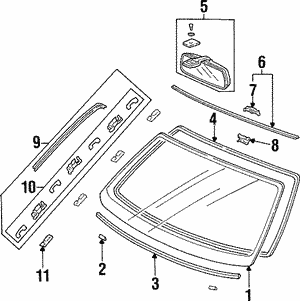 Dusty environments or car waxes might wash out the color of black plastic moldings, but they can be easily cleaned. OEM moldings are made specifically to fit the dimensions of your Acura TL so you don’t have to worry about measuring and cutting price-by-the-foot moldings. 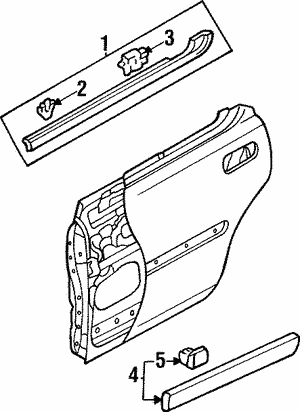 Here at Acuraoemparts.com we carry a large inventory and can help you with any of your molding replacement needs.